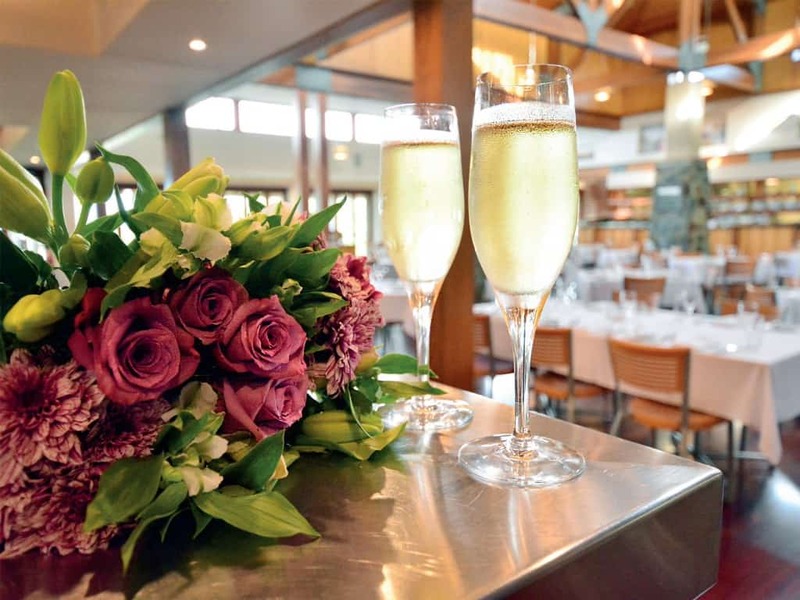 Set in the lush green hills of Mt Cotton, south of Brisbane, Sirromet Winery is the family-friendly dining destination that has it all ¬– fine food, playground, wildlife, even kid-friendly golf! What more could you ask for? If you’re looking for something classier than fast food, somewhere to celebrate a special occasion where children are welcome, or a fun afternoon out (with coffee and wine on standby for the parents!) then you really have to try Sirromet Winery when dining out with kids. What makes Sirromet Winery family friendly? Sirromet Winery understands that kids need good food and entertainment too. There are several dining areas on site, each offering a children’s menu or smaller meals suitable for younger diners. Take a look at the delicious children’s menu offered at Sirromet’s Restaurant Lurleen’s, with a gastronomic take on classic favourites. The kids will feel very grown up when these plates are placed before them! Check out the children’s menu here. Or try the menus at Sirromet Winery’s Tuscan Terrace and Cellar Door café for simpler fare. 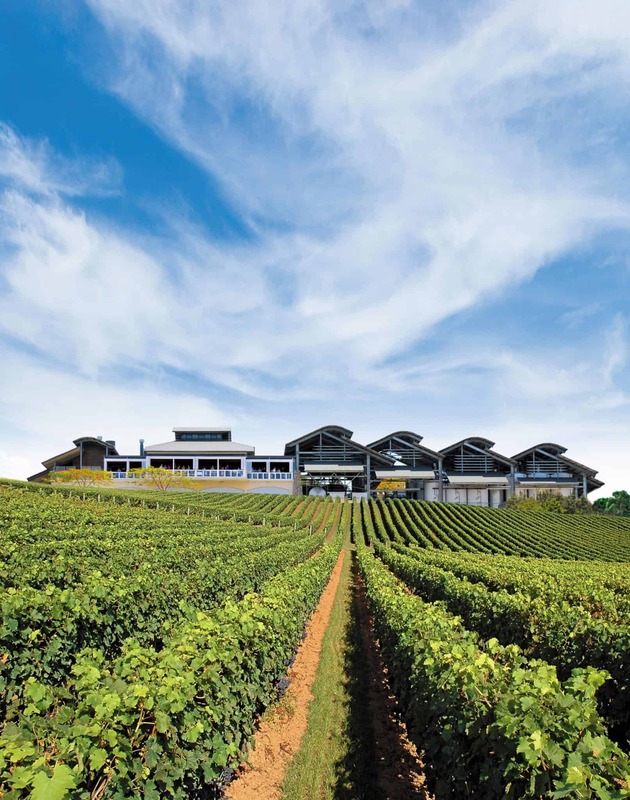 The winery sits atop a hill with lots of open space for the kids to run and play in full view of most dining areas. Children love rolling down the gentle hillside, and there’s plenty of room to throw a Frisbee or kick a ball. There’s also a small wooden fort playground to climb and scramble over. On large acreage in the Granite Belt there’s always wildlife to be seen, and Sirromet is known for its large groups of wallaby families. They can be seen hopping amongst the vines, or grazing on the hillside. They’re so cute to watch! To make your visit to Sirromet Winery more comfortable, the venue is well equipped with high chairs and baby change facilities, and the staff members are very child-friendly. Depending on the food experience you are looking for, there are several dining options at Sirromet Winery, but not all are open at the same time so please check their website for opening hours. The Cellar Door at Sirromet Winery not only offers a wine tasting experience, but also a selection of café style meals, and with cakes, tea and coffee. The licenced menu includes meals to share, salads, rolls and wraps, larger meals like burgers and fish and chips. Along with smaller meals for kids, gluten free and vegetarian options are also available too. Restaurant Lurleen’s is Sirromet Winery’s fine dining experience, open for breakfast buffet, lunch and dinner. Dining at Restaurant Lurleen’s guarantees you the best in chef-prepared local seasonal produce enjoyed with views over Moreton Bay and Stradbroke Island. The Tuscan Terrace is a relaxed outdoor dining experience on the shady deck overlooking the hills. It offers a Mediterranean style casual family meal. Offering things such as, breads and salads, pasta dishes and wood-fired pizza direct to your table, from where you can watch your older children run and play. 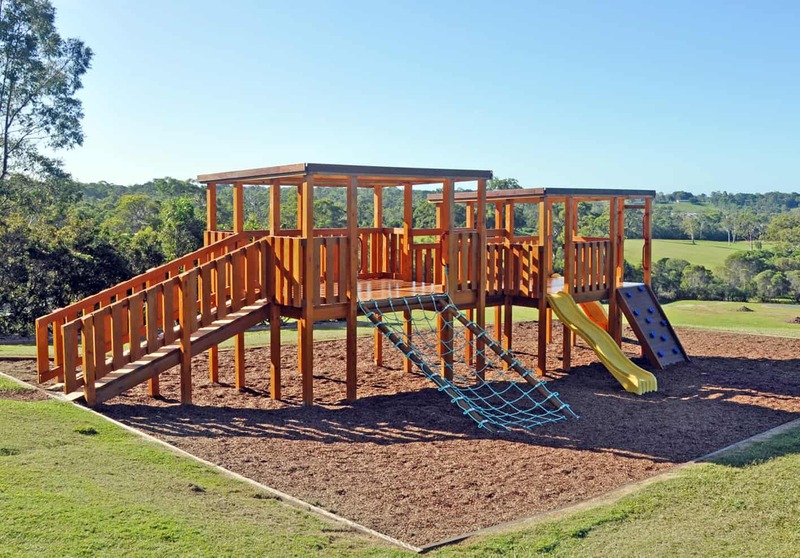 If the playground and open space isn’t enough entertainment for your little brood, then Sirromet Winery frequently offers more! Several times a week Sirromet Winery plays host to local musicians performing live music while you dine. See who’s playing here. A Day On The Green with local and international artists is a regular event at Sirromet Winery, with performers including Kylie Minogue, John Farnham, and other international greats. From giant water slides, to classic cars, to Christmas Carols and fairgrounds, you really need to keep a close eye on Sirromet’s events calendar because there’s something happening EVERY WEEK! View their events here. Supa Golf is an upsized version of regular golf, with large, soft, brightly-coloured golf balls, and golf clubs with an extra large head to hit them with. It makes the game a ‘hole’ lot easier for kids to enjoy! Played over 9 holes, the game is relaxing fun for adults and kids alike. More to do at Sirromet Winery? Sirromet Winery is happy to host your wedding or special event. It even offers safari-style glamping and accommodation if you want to stay a little longer. They also offer a range of wine-tasting experiences and vineyard tours. What else is there to do near Sirromet Winery? If the kids still have energy to burn, take them to nearby Mt Cotton Community Park. This large lakeside park has huge playgrounds, a skate park and basketball hoop. If you want to stroll off your over-indulgence on all the beautiful food offered at Sirromet Winery, then the Venman Bushland National Park is literally just down the road. It offers a number of walking trails, mountain biking trails, and horse riding tracks.